Perhaps I am the last person on earth to have seen this trend (alas, I have failed at Trends R Us), but surely this is a scam perpetrated by a blogger on a slow news day? This is so ridiculous I don’t know whether to laugh or cry. News alert: There is no single prettier thing to have in a room than a bookshelf filled with a riot of books. (Dare I say it? Even a bookcase full of YARN cannot match up to it. That’s how much I believe this!) Who needs order and bland beige-ness when one can have disorder and colour and BOOKS! The whole joy of a bookshelf is in reading the titles (hopefully followed by reading the books). What do they say about the owner? How many fantastic conversations can you start by examining the shelves? How can you make a rainy day lovely? Will you discover a kindred spirit? How can we make your heart go pitter-pat and your fingers start to tingle just by the proximity to the lovely written word? And, far more importantly, what little treasures are there just waiting for you to read, or at the very least, drool over (figuratively, of course)? And now, rant over, we return you to your regularly scheduled entertainment. Tune in again soon for some knitting news (guaranteed to not match your colour scheme). When I was a child, I was known as a day-dreamer. I spent most of my time wrapped up in a fantasy world, often with my head in a book, but just as often not. I could spend many hours happily in my own company, and rarely felt lonely. I took up handicrafts very early, in the beginning mostly embroidery, needlepoint, weaving, macrame, and ceramics, later mostly knitting. I know that I enjoy the creative aspects of craft; it fills up a very important place in my psyche. But from a very early age I was also aware of the peaceful aspects of handicrafts, especially ones with repetitive motions, like knitting. I liked being in my head while engaging in the creative process. It is restorative, like meditation or yoga. Looking back on it now, I think that maybe there was more to it: being in your head makes people uncomfortable. The saying “idle hands make idle minds” may not be said all that often anymore but I think it invaded much of the philosophy of child-rearing when I was young. If I was caught day-dreaming, that was bad – it showed me to be a dreamer (and not in a good way). If I was caught knitting, regardless of the fact that I was just as much in my head, I was seen to be industrious and creative. This reminds me of a story my husband tells. As a young man he worked in a paper mill in the summer. As he tells it, if you took a break to smoke a cigarette, this was acceptable. You could stand by yourself and have ten minutes of peace. If you tried to take a ten minute break without a cigarette in your hand, you were seen as being idle and were told to get back to work. It didn’t take long, Doug says, until the whole crew took up smoking. This “being in your head” is not idle – some of it involves elements of fantasy, while it also encompasses thinking about philosophy, history, politics, fashion, books you’ve read, problems you are trying to sort out, designs you are creating, people who you know or would like to know, paths you want to follow. I find this space both peaceful and invigorating. I also find it necessary. It rejuvenates me. Knitting, therefore, has many different functions for me. It is a creative outlet, it produces beautiful items, it allows me to develop skills and mastery over an ancient craft, it links me to a history and fellowship of needlework, and it also allows me space and freedom to be in my head. As my life has gotten busier, I find that I have tended to relegate my knitting time into a multi-tasking experience. I knit, usually, while doing something else: watching TV, chatting with friends over coffee, waiting in line. A few years ago, I went through a time where I resented the fact that knitting took up reading time and vice versa, and to solve this I started buying audio books and knitting while listening. I recently noticed that my knitting time was thus almost always accompanied by noise. If I picked up my needles, I would turn on an audio book or tune into a podcast. Sometimes, I would suddenly become aware that I had missed some of the book, and would have to re-wind and listen again, often three or four times as my mind would wander. I came to two realizations at almost the same time – I was not enjoying the knitting as much, and I was finding quiet to be lonely. I was rushing to fill up blank space. Doug has been gone for a few weeks (day before yesterday he was climbing the Great Wall of China) and I have had a very busy teaching schedule. But, while he was gone, I set my alarm clock for very early every morning, got my cup of coffee, and settled down to knit, in absolute silence. And I came to a conclusion I already knew as a very young child: there is power in quiet. I am knitting something new, which I am designing myself, and enjoying every stitch. I am feeling more at peace with quiet. I am feeling more in my head. I don’t NEED there to be quiet to enjoy my knitting – I still knit while watching TV (currently “Miss Fisher’s Mysteries”) or listening to an audio book or podcast. But creating a space for knitting in silence is good. I have come to appreciate, once again, that there is a specific joy to be had in not multi-tasking, in enjoying the peace of knitting all by itself, and listening to the quiet. I did a double take, and stopped and stared at the sign while commuters streamed around me in annoyance. This was obviously supposed to be funny; a little bit of humour to set you on your way. I found this sign very depressing. I left the train station feeling very down and sad about the state of the world. I was in the city to conduct some interviews for an ongoing research project on stakeholder engagement in the mental health care sector. My last interview of the day was with someone who had a very sad story to tell. A sad and harrowing story. One that didn’t end well. Imagine, if you will, the kinds of sad and harrowing stories that could be told when discussing mental health. Well, this was one of those stories. The person who told me this story was elderly. Life had dealt him a very bad hand. He could have been profoundly pessimistic. His story had ended tragically, but he believed in the power of change. He believed in the power of people to make changes. He believed in the power of people to be good. He believed that he could make a difference. Someone today is making a positive difference in the world. When I started knitting, patterns were very short, and often quite obtuse. They were sprinkled liberally with phrases like: “decrease x-number of stitches from each side every row, while keeping to established pattern”, “make raglan increases, while incorporating new stitches into lace pattern”, “decrease x-number stitches evenly across row”, and my favorite (usually in all caps) “AT THE SAME TIME”. Work as for left front, reversing all shaping and placement of pat. With right side facing, rejoin appropriate yarns and, keeping continuity of patt, work the 51/54/57 st of right shoulder, as for left, reversing neck shaping. Knitters were expected to figure out how to incorporate increased stitches into a particular pattern, be it lace or mosaic or fair isle, and also how to decrease stitches in pattern. Furthermore, they were expected to be able to naturally reverse all pattern instructions and shapings. My early knitting projects were always accompanied by loads of hand scribbled notes. If the pattern was complicated, I would notate each row, and specify how I incorporated increases, decreases, and other shapings. These scribblings were filled with math – most patterns did not include all of the necessary mathematical calculations – and a competent knitter needed to know a lot of practical math in order to complete the pattern. Patterns were sold in print medium – in magazines or books – and I imagine that they were kept short in part to save on page length. Today, most of the patterns I use are downloaded PDF files, and one of the things that is quite obvious is that the patterns are getting longer and longer. In fact, there is a veritable explosion in pattern length happening right now. I used to photocopy a pattern from a knitting magazine and keep it in the project bag with my knitting; this was usually a single piece of paper, on which I would add scribbles like mad, front and back. Now, many of the patterns I use are 8, 10, 12 pages or even longer. Why is this? Keeping stitches in established pattern, bind off 3 st each end every other row 6 (8, 10, 12) times at shoulder edge; AT THE SAME TIME, decrease 1 st every row at neck edge 4 (6, 4, 6) times, then every other row 5 (7, 10, 8) times. Pattern writing and grading on this piece was definitely a hard nut to crack! Since the shoulder details would have specific idiosyncrasies based on the size of the finished garment, no specific set of rules or written instructions worked very well. So I opted for the more “bespoke” route of charting out the front and back yokes for each individual size. The end result included 6 total sizes with finished chest measurements ranging from 39.25” to 59.25” [….] 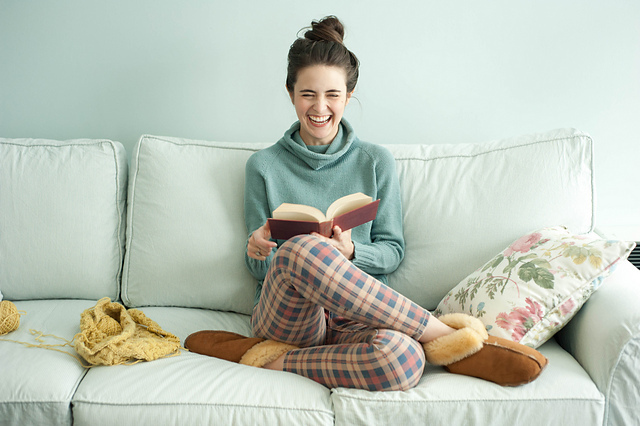 The pattern is quite long as a result, but don’t be fooled—most of the pages are charts for additional sizes and you’ll only need to print the two that pertain to yours. I love Jared’s use of the term “bespoke” route for capturing this way of writing out patterns. While Rift is no doubt complicated and the pattern is bound to be extremely clear (Brooklyn Tweed patterns in my experience are excellent), this method – of writing detailed instructions for each size – is now being used frequently by designers, sometimes for rather straightforward designs where it is clearly unnecessary. My project bags now have pages and pages of pattern in them – I have to flip constantly from one page to the next. (This problem is not solved by having the pattern on an electronic device; you still have to scroll up and down through the scores of pages.) I also have little need for a pencil these days – since all of my scribblings and calculations have now all been done for me and charted in infinite detail, there is little for me to take note of. Self-publishing. Designers used to mostly have their patterns published in a knitting magazine; these publications would have established formats for pattern writing which the designer would adhere to. Once self-publishing came to the fore, designers had the opportunity to establish their own formats and layouts. They also had to compete to stand out from all of the other designers. One way to do this was to provide lots of content – photos, tutorials, charts, schematics, etc. (I am a big fan of both charts and schematics.) If you are a designer, it is in your best interests to be as clear as possible on every front. Sometimes, this means being overly explicit about everything. Money. When you buy a single pattern download for much the same price as you can buy a knitting magazine with 30 patterns in it, you want to get your money’s worth. It’s human nature to feel that a 10-page pattern for $7.20 is a better deal than a 3-page pattern for the same price. (At least until you’ve read them.) Knitters want to feel as if the product justifies the price, and designers respond to that. Sizing. Another trend recently (and a very good one) is that knitting patterns now come in a much larger range of sizes. A pattern which is written in three sizes (S, M, L) will look much neater on the page and will be infinitely shorter and easier to read than a pattern which is written in 10 sizes. Many designers have started writing out separate instructions for different ranges of sizes for clarity’s sake and ease of reading. This can only be a good thing. What do I think of all of this? I find I have rather ambiguous feelings about this trend. On the one hand, having detailed and explicit instructions makes it easier for beginners to take up their needles and tackle interesting projects. It saves us from hours of ripping and trial and error. Even the most experienced knitter doesn’t alway want to think out every step in detail. If it’s all worked out for me in advance, then I can multi-task – knitting while reading, watching TV, chatting, having a glass of wine, etc.. If I wanted to spend hours doing the math, I could just design everything myself, right? On the other hand, I think I am a better knitter because of all of the intense thought and concentration some of those early patterns forced me into. I think I “read” my knitting better. I think I learned how to “fit” a garment better. I get a kick out of the intellectual challenge. (Don’t get me wrong – I am not talking about patterns which are full of mistakes and typos – I hate those! I am talking about the level of explicitness entailed in the pattern.) And although laying it all out makes it easier on many levels, flipping the pages back and forth can be annoying. In fact sometimes the sheer length of a pattern is so daunting that I can’t get past that to see how well-structured it may be. I think that some of the ambiguity I feel derives from the grumbly professor in me: I believe that there is value in figuring some things out for yourself. I never want to give my students the answer; I want them to derive it for themselves. My job is to give them the tools they need, and also to make it interesting. Perhaps a great pattern has this in common with a great lecture – they should both inspire one to think. On the other hand, I can’t abide obtuseness – I love a pattern which is simultaneously explicit and concise. I think that this discussion reflects the tension between the process knitter in me and the product knitter. As a process knitter, I enjoy “getting my hands dirty” so to speak. I like to figure things out. I don’t want it to be easy. When I am in full process mode, ripping gives me a little thrill (yes, I admit it, even if it is insane). I love the concentration, the endless calculations, the counting. 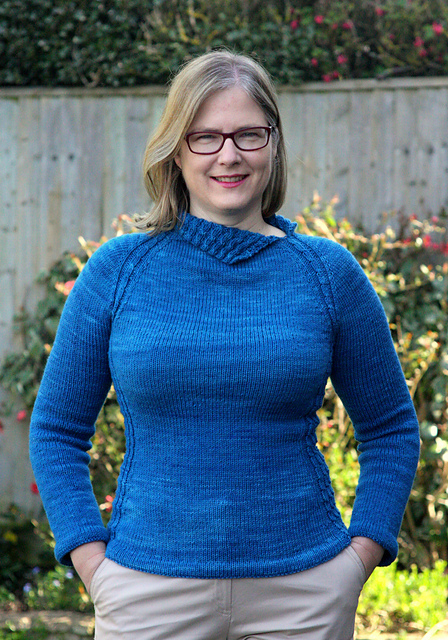 On the other hand, as a product knitter, I want to make a garment that fits, and I want to wear it now, not some time next year after I get all the kinks worked out. When I am in full product mode, ripping is agony – it just slows me down. In this case what I want are very explicit instructions with no margin for error. I think most of us fit somewhere on the spectrum between process and product. However, I think we all tend to “bounce” a bit between the two ends – and where I sit on any one day determines how much detail I want in the pattern. What about you? Have you noticed the explosion in pattern pages? Do you like it? Does it drive you crazy? Do you think I’m crazy? Inquiring knitters want to know…..
What are the boundaries or tipping points? For example, when does a pattern become an inspiration? How much do you have to personalize a pattern before it becomes something else? How does one appropriately attribute those projects that fall on the boundaries? It’s hard to tell from the photo but the waistband is ribbed as are the sleeve cuffs. I am not quite finished with mine – the body is knit but one sleeve is about half done, and the other about a third done. If you look at the most current progress photo below, you can see that mine doesn’t really look that much like the pattern photo. Part of this is for obvious reasons – mine has less ease, more fitted sleeves, is longer, and the waistband is in seed stitch instead of rib. The choice of yarn also changes the look of the sweater quite a bit – the Madelinetosh Light doesn’t have the halo of the angora blend called for in the pattern. But as it turns out, the reasons for my pondering have more to do with how I used the pattern – namely, not much at all. Let me be specific. I choose the pattern and then I bought the pattern. I decided which size to knit, looked at the pattern and it said to cast on x-many stitches and knit 9 inches for the turtleneck before starting raglan increases. I cast on the stitches and knit 9 inches and started raglan increases. But, here is the crucial bit – since looking at the pattern initially to see how the turtleneck was made, I have not looked at it again. The truth is that the pattern is for a very basic raglan construction, and I don’t need a pattern to make a raglan sweater. What I do is try the thing on frequently, look at it critically in the mirror and decide what needs to be done. Is it the right length to divide off the sleeves? Do I need more waist decreases? Where is my natural waist? Does it flare enough over the hips? It doesn’t occur to me to check the pattern because I am making it to fit ME and to please ME and I have two eyes and can see how it fits and adjust it accordingly. Hannah Fettig is a very popular designer whose patterns are extremely well-written. Hannah was at the leading end of a recent trend towards finer-gauged yarns in sweaters. She has a perfect eye and many of her designs are on my wish list. Some of them are very unique and clever, and others are extremely well-executed classics. This one falls into the latter category and is why I felt confident doing it my way. Now let’s look at the question of attribution. On Ravelry, you link to the pattern page for any pattern you use. At some point not too long ago, Ravelry realized that many people incorporated certain parts of patterns into a finished piece, or merged two or more patterns into one. They introduced an option: one can either link to a pattern (thus essentially saying “I knit this pattern”) or one can say that the project “incorporates” a pattern (thus saying “I used bits or pieces of this pattern within another pattern”). When I started the project entry for my turtleneck, I linked to Hannah’s pattern. At some point, I started to think that perhaps my project deviates from the original enough to say that it “incorporates” the Lightweight Pullover pattern. I actually changed the Ravelry entry, changing the Name of the project to “Turtle in Tart” and acknowledging Hannah’s pattern using the “incorporates” option. I also included notes to outline how I made it, so that someone can replicate it if they wish. To refer back to the title of this post, I essentially moved it from pattern, to either recipe or inspiration. I must admit to being undecided about this – I have changed it back and forth a few times in the last few days, and it is likely to end up linked as pattern. As you can see, I changed this pattern as well. I detailed all of the changes I made on this blog. I made it much shorter, put in hems at the hip and cuffs, and made the sweater curvier, with more negative ease built in but also more pairs of waist decreases. 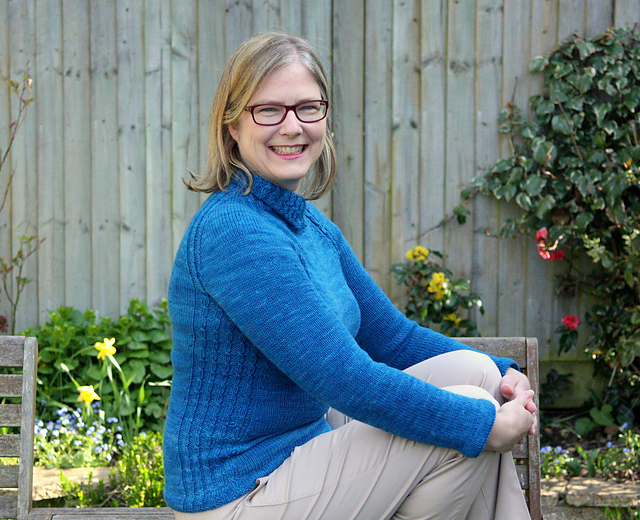 I think that my Livvy looks dramatically different from the pattern – much more so than my Lightweight Pullover looks from its pattern. In fact, the types of changes I made are very similar in both sweaters – changing the length, the ease, and the sleeve cuffs and bottom edgings. However, it would never have occurred to me to use an “incorporates” option in Tori’s pattern. This is partly because Livvy has some very unique features, which I have utilized, which are instantly identifiable as Livvy. So why have I wavered about the attribution of one and not the other? On reflection, the underlying difference between these two cases has to do with the math. To make the Livvy sweater, I used all of Tori’s numbers as a basis for my own calculations. In knitting the Turtle in Tart, I didn’t use Hannah’s numbers, essentially ignoring all of the math and calculating my own numbers as I knit. Thus the former “feels” like I followed a pattern and the latter doesn’t. 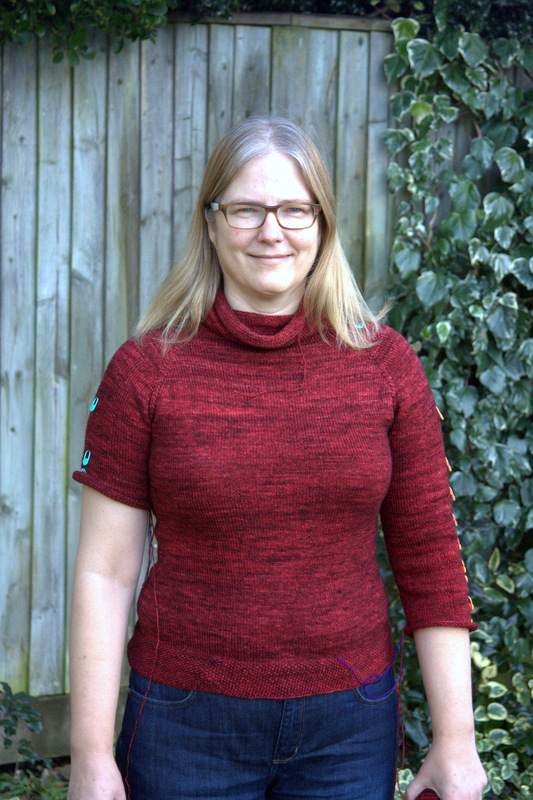 Looking at the photos, you can see that the end results are very similar – a project based on a lovely pattern that has been “tweaked” to fit my curvier body and my style. The only real difference is whether I used the numbers or not. But perhaps this distinction is odd or outmoded. Is it math that makes the pattern? Or is it vision? And, if it’s math, does it still “count” the same now that most numbers are generated by software? I don’t think there is any right answer here. (I suspect that both math and vision count, though, depending on the sweater, and perhaps on the knitter, one may be more dominant than the other.) Many knitters are now using Amy Herzog’s CustomFit, in which they can basically input specifics of a pattern they like and it will generate the maths specifically for their body. The resulting project is usually attributed to both the original pattern and the CustomFit programme. (CustomFit also generates a selection of “classic” designs to fit.) To me the important facts for my two projects discussed here are that (1) I paid for both patterns, and (2) I acknowledged both designers. What do you think? When is a pattern not a pattern? Does it matter? Is anyone else fascinated by these types of questions? Have I been adversely affected by writing a philosophy grant this week? Can I use British spelling conventions and still say “math”? Maybe I should get to work on those sleeves…..